1. How do I know if I need counselling? Are my relationships beginning to suffer? Do I feel anxious/depressed/troubled for a significant amount of the time? Do I often feel like or find myself crying? Do I often feel overwhelmed by life or the particular problem I have? Do I often feel confused and find making decisions difficult? Am I drinking more to help me cope with things? Do I often have trouble sleeping or often wake up in the early hours of the morning? Is my eating affected? Am I eating less/more than normal? 2. How long is the counselling likely to take? This is really dependent on the individual problem(s) and the individual client. Some people bring very specific problems that can be resolved relatively quickly, over the course of a number of sessions. Others may have more deeply entrenched difficulties that date back some years, and these can take longer to work through. Many people feel that whilst they have resolved the issues that they sought help for, they still value the opportunity to have an hour each week where they can reflect upon their feelings, thoughts and events. The client and I regularly assess progress throughout the sessions, and ultimately it is up to the client to decide how long the counselling will continue for. 3. How flexible can the counselling appointments be? Generally speaking, appointments are at the same time each week, but I do try to be flexible. If the scheduled appointment presents an unavoidable problem one week, I would do my best to try and find another time when the client and I could meet. 4. What training and qualifications should my counsellor have? Counsellors and psychotherapists should also have ongoing supervision with a registered supervisor. 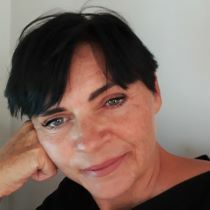 I hold a Masters degree in Counselling and Psychotherapy from Regents College School of Counselling and Psychotherapy in London (2002) and am also an Accredited Member of the BACP. I receive fortnightly supervision and undertake continuing professional development. 5. Is the counselling confidential? Yes it is. What is discussed within the counselling sessions stays in the counselling sessions. The only circumstance where confidentiality might be broken is if the client poses a serious risk either to him/herself or someone known to the client. I would always try to discuss the need for a break in confidentiality with the client first and the reasons for this. Each face to face counselling session lasts for 50 minutes, the so called 'counselling hour'. This is so that if another client is due at the following hour, clients can come and go without having to bump into each other! It also means that I have the time to feel properly refreshed and focused to meet each individual client. Telephone counselling sessions last 40 minutes. 7. What style, techniques and approaches will my counsellor use? Generally speaking, psychological therapies fall into three categories. These are behavioural therapies which focus on cognitions and behaviours, psychoanalytical and psychodynamic therapies which focus on the unconscious relationship patterns that evolved from childhood, and humanistic therapies which focus on looking at the 'here and now'. I have training in all three of these approaches. I work integratively, which means that I use a number of different counselling models depending on the individual client and the individual problem.